IPL 2019: Can KXIP steady the ship against RR? 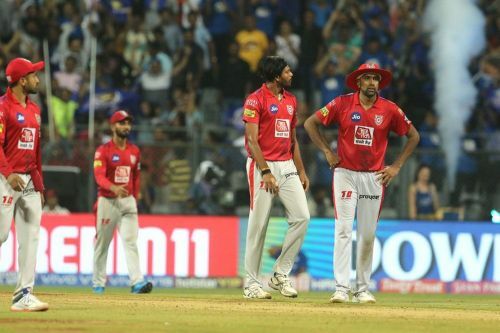 In what is beginning to look like a repeat of last year, KXIP have lost the script over the course of the past couple of matches. The team had started off IPL 2019 strong, but their performance has taken a sharp downhill turn and they now find themselves in the bottom half of the points table. The team's bowling department has been especially disappointing in their past 2 matches. Sam Curran and Ankit Rajpoot are going for too many runs, the spinners have not found a way to take wickets, and Mohammed Shami can only bowl so many. The coaching staff need to find the right lineup for the team, and they need to do it soon. The sliver lining for the Mohali-based franchise in the losses has been the unflinching form of their top batsmen KL Rahul and Chris Gayle. At least one of these two has been amongst the runs in nearly every match. The others have shown promise, but are yet to make an impact in a big way. The team will want the middle order to do that in the upcoming matches. Rajasthan Royals, who to be honest are playing spoilsport for the other teams, stand in the way of Punjab and a third position on the points table. Although the Ajinkya Rahane-led side would still be hoping to make it to the playoffs, that outcome seems unlikely, especially considering their current form. The team has to win almost all of its remaining matches to stand a chance to qualify. That is a tough ask, even for a team that is playing with some form. Nonetheless, the men from Jaipur would step out looking to play their best cricket against the home team in Mohali. If Punjab can find a way to get the wickets of Rahane and Jos Buttler, they would put Rajasthan on a really sticky wicket. Both the teams would hope to win the toss and look to chase. Recent results notwithstanding, Punjab have an edge in this one. They are incidentally also the ones that need it more than their opponents at this point.